In the district Elsrijk is fine living, the district is located in the north of Amstelveen and is spacious with lots of green facilities. 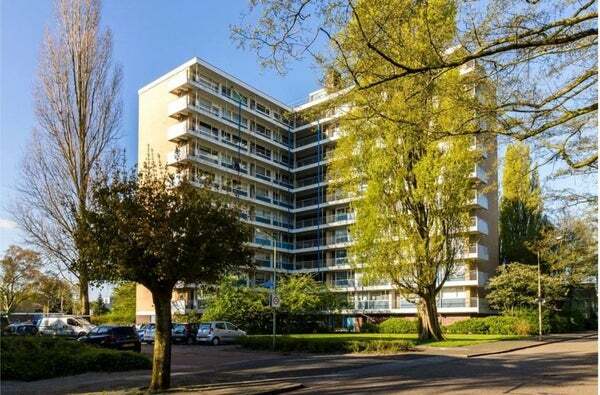 In addition, the location central to public transport, (fast) tram 5 and 51 are nearby as well as various shopping centers such as Kostverlorenhof, Bankras and centrally located to the city center of Amstelveen. On the 7th floor apartment with very functional layout as well as the south location of this apartment a sea of ​​light! In the basement a large storage room and ample parking. Entrance hall, access to the spacious and very bright living room with access to the balcony which is located on the south. The balcony offers in addition to plenty of sun a beautiful view of Amstelveen. The kitchen is located directly on the living room (and on the gallery side). The landing which is accessible from the living room provides access to the bathroom with shower and sink, separate toilet. Furthermore, a bedroom on the gallery side with a spacious closet and a spacious bedroom which provides access to the balcony.